a doll that my mother owned. Can anyone out there help me. 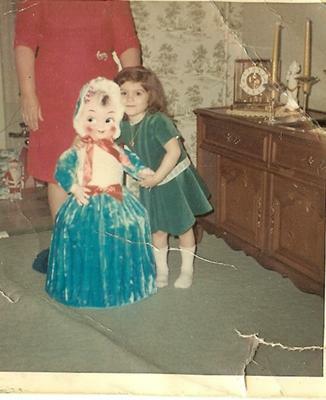 My mother had this doll when she was very little, now she is 49. It was a doll she had that her parents took away from her because she would walk around with it everywhere(even in public)guess this embarrassed my grandparents so they took it from her. So my mother tells me. On top of being a child sized doll it is also a laundry basket she unzips into a laundry basket. It would make for a great gift and relive a childhood memory she wants one so bad. I was trying to find out what it is maybe get some more information on it, possibly even buy her one if I get so lucky as to find one. Comments for a doll that my mother owned. Have you tried looking on ebay? I know I'v see this doll on their before....I to used to have one sort of like this one only it had a full body with no hands or feet..they have a pressed face tha can be easily damged..IE the cheeks pressed in, so look closly for that.